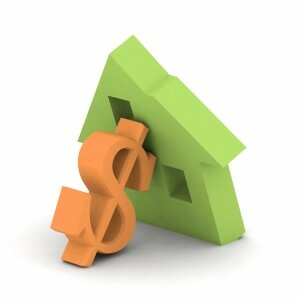 Non-recurring closing costs are paid as part of the home buying process and are one-time charges. *Denotes payor of fee can be negotiated between buyer and seller prior to offer acceptance even if it isn’t customary for the area. While many of the fees above are negotiable it may not be in your best interest to push too hard on fees that are typically paid by the buyer as your actions could cause a seller to reject your offer. As with recurring closing costs, each transaction is different and your total costs may change depending on the property you purchase and what is customary to your area. For example, the seller of a property typically pays for the part of the escrow fee but on a HUD REO the owner, HUD, will not pay this fee so it turns into a buyer’s closing cost. For general reference, the combination of your recurring and non-recurring closing costs should total between 3-3.5% of your purchase price. The amount may vary when you start adding in discount points to buy down the rate, additional inspections, wide coverage home warranties, additional insurance for pools, etc. To get a more detailed look at your potential closing costs contact your lender or real estate agent and ask for a Good Faith Estimate or Estimate Net Sheet. To reduce liability from the sue happy: This is not intended to be a complete list of your closing costs. Your actual fees may be different as negotiated in your contract. Read your Purchase agreement and your lender’s documents carefully and make sure you understand the terms. You’re advised to consult legal counsel, a CPA, or financial advisor. Posted in Educate Yourself, For Buyers and tagged buyers closing costs reno nevada, reno buyers agent, reno home buyer closing costs, reno home closing costs, ricky beach real estate agent, what are closing costs reno.